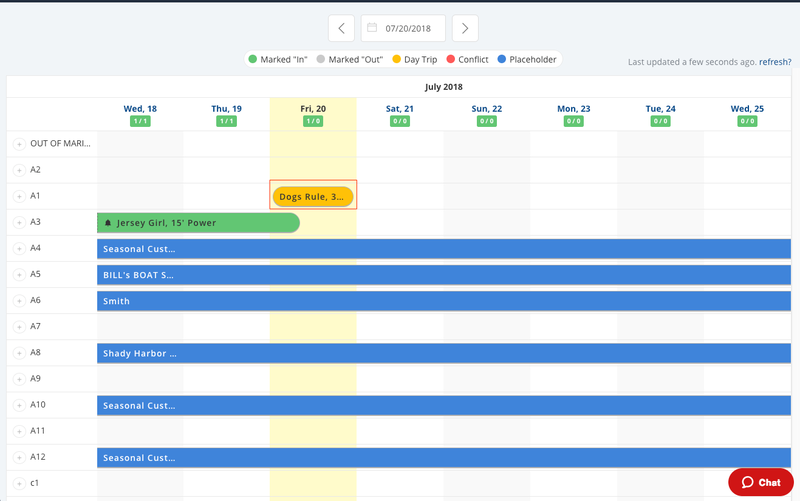 Now that your Spaces and Space groups are set up, you are ready to use Assignments. 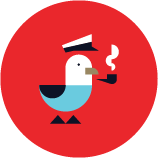 With Assignments, you can assign any reservation to the dockage Spaces that you've created. This means that you can easily keep track of inventory when making new reservations and also look to see the state of your docks and moorings at any given time. Start using the Assignments tool the next time you confirm a new boater reservation. In the reservation details of the confirmed reservation, you’ll see an "Assignments" section. Click “Add Assignments” to bring up the Assignment tool. Select the Space to which you want to assign the boater’s vessel from the “Assign All Dates” drop down menu. When you “Save” the boater’s assignment, the boater’s vessel will appear on your Assignments screen. To change the boater’s assignment, mark that they have arrived (Dockwalk status = “In”) or make a note about the boater, simply click the reservation on this screen. Some marinas then message the boater with their dockage Assignment, using Dockwa Chat. That way, the boater knows which slip or mooring to head to as they approach your marina and you have one less box to check when the boater arrives. 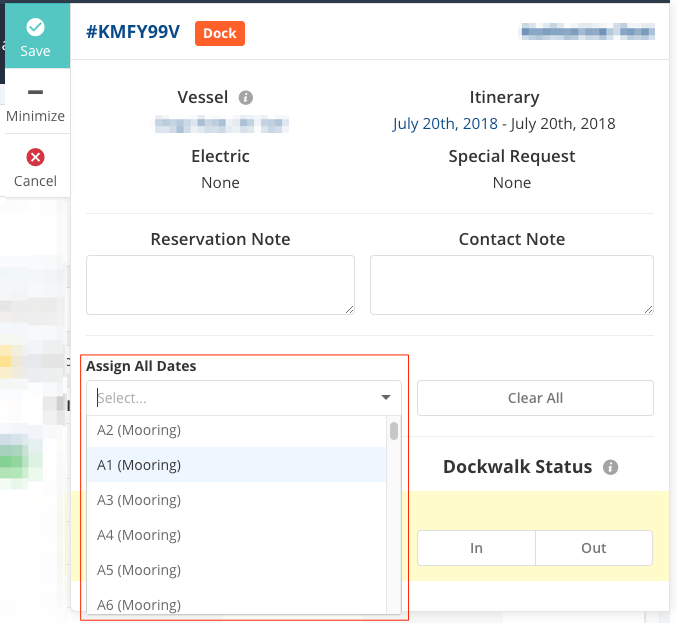 Follow this practice for each one of your dockage reservations and you’ll be able to see at any given time which slips and mooring are vacant, and who is coming, on which date, to fill them. 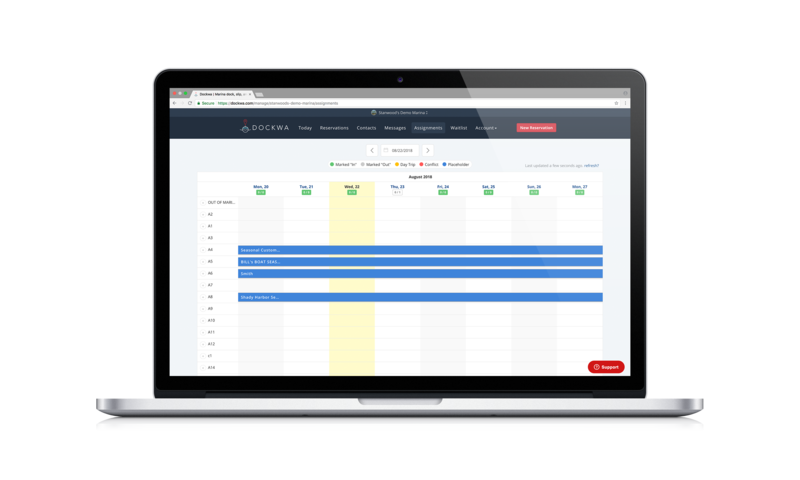 "Simple, easy to use system that is a great tool for taking and keeping all reservations organized." 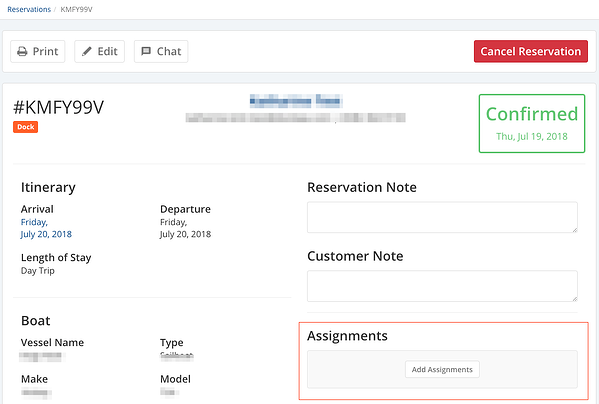 Let's now explore how Auto Confirm adds automation to Reservation Confirmations, saving you time and giving your boaters the best booking experience.